Intel® Server Chassis P4308XXMHEN 17.24" x 24.9" x 6.81"
Intel® Server Chassis P4308XXMHEN (1) Intel® Server Chassis P4308XXMHEN- Pedestal form factor (17.24" x 24.9" x 6.81"), (8) 3.5" Hot-swap drive carriers, (1) 550W Fixed non-redundant power supply (Silver Efficiency), and (2) 120mm fixed fans. Airduct sold separately. 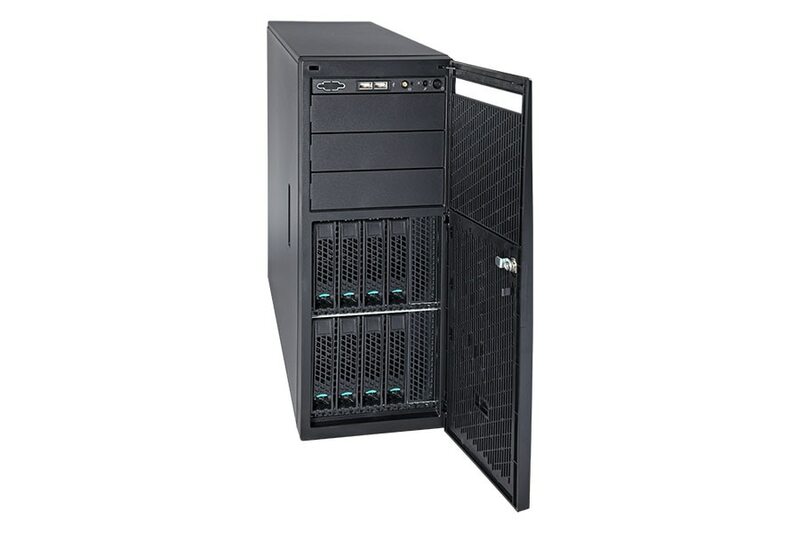 Intel® Server Chassis P4308XXMHEN A general purpose pedestal chassis supporting CEB and EEB form factor server boards with up to eight 3.5" hot-swap HDDs, a 550W fixed power supply and two 120mm fixed fans for small to medium businesses. Intel® Server Chassis P4308XXMHEN Hot-swap 2.5" or 3.5"